To go into next year empowered. Know the steps you need to take. This is what Get Crystal can do for you. 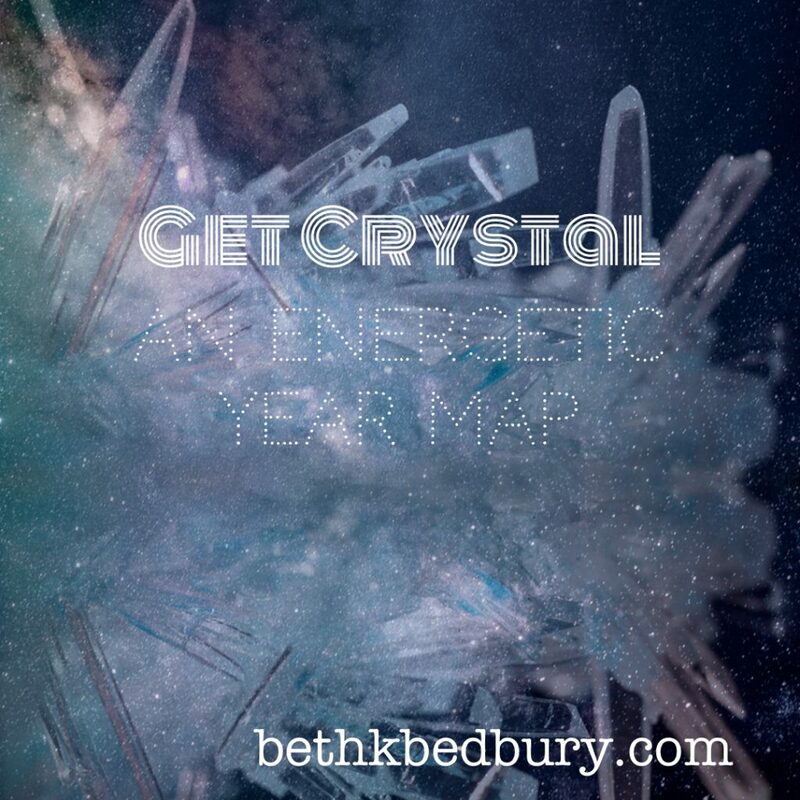 It provides an energetic map of your year to help you feel empowered. To give you a path to follow via an oracle card reading that engages. It helps you to find that ever elusive clarity. Get Crystal helped me connect with my Spirit Guides and move me out living from if and when, into living in my now. It helped me to keep following my word of the year for 2015 Love. You deserve the alchemy of love. When you create them in your life, you make them happen. This reading shows you a way to do this in your life. This work is the Alchemy of the Soul. It will help you create who you want to be. Get Crystal took me from being afraid to live from where I am right at this second. Yes, it is not always sunshine and kitty cats. But having this energetic map in my hot little hands lets me know what I need to get to do to get to the where. To act with certainty from the heart. Use your Tarot Soul and Personality card so you move from the heart. Know the why and how you act, so you can create space for ease and flow in your life. These cards are part of the larger themes that run through your life. Use them to navigate it and maintain your focus. It is seriously freaky how this has lined up in my life. The Fool and the Emperor make me that person peeps will follow merrily off the cliff. The Fool brings me my willingness to morph and learn. The Emperor brings in my desire to build and create infrastructure, when contradicted destroying and combative. Empowered by working with these large energies running through my life, it lets me work with compassion for self. You deserve this act of sacred self love. There are times in life when the most powerful thing you can do is to change yourself. I came to that point. Nothing else in my life changed except me and that all started with a thought, to be happy and move from love. It changed me and changed my life when the circumstances of that life could not be changed. That’s what created Get Crystal that moment of letting my soul guide me and letting alchemy in. What would it be like to do that? To become what your soul thinks you should be. To know that the soul, the heart, and your will can work together and create something so very marvelous in you. Find the keys to your year through your Tarot Year Card. The year card brings in strong energies for you to work with. This means that your Tarot Year Card becomes part of you and the work of your Soul. You can use it to create and guide. I’ve learned even when you don’t know what this card is, it is still present. Death appeared over and over for me, it would not go away or leave me alone, and it was still acting in my life, even before I did the math. Death, it was my year card. As much as part of me resisted the more knowing part whispered yes. I let Death in and was reborn. Tarot Year Cards are now part of my spiritual life, they inform and guide. They will help you direct your life. What would it be like to hear the message from your Spirit Guides? For the message to be distilled for you. So you can hear it with ease. Know it in your heart. This reading was created so I could know and understand what my Spirit Guides were saying to me. That eventually spilled over to using this to help you unlock the messages your Spirit Guides have for you. This reading works in large energetic themes and practical prompts for you to create magick. Think about this, truly think about the potential you hold. The potential you deserve to know. You deserve to let your heart guide you. You deserve to create the life you desire. The greatest Magickal creation is you.